La treintañera más popular, tierna y divertida del cómic, en su estado más genuino y efervescente. One of the most popular, gentle, and funny thirty-something of comics is presented here in her most genuine light. As much as we try to hide and as many masks as we try to use in our everyday life, we always seem to show our real colors. Because at the end, in spite of how much we try to hide, we know that our dirty laundry is always aired out publicly. 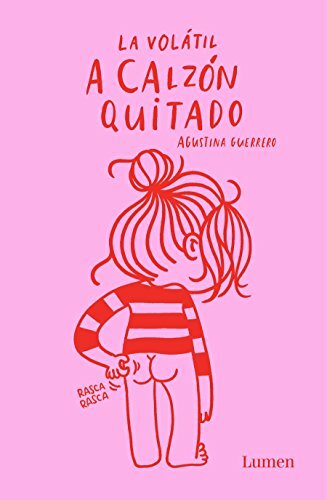 In a small comic strip, Agustina Guerrero is able to display the delicacy and spark of a sensible soul, the need for a cup of coffee early Monday mornings, the angst that we feel when meeting the in-laws for the first time, and how falling in love turns our brain into mush. Laying It Out Bare is a real gift for those of us who seek someone to hold our hand through the joys and tragedies of daily life. So, look at the camera and say cheese! View More In Contemporary Women. If you have any questions about this product by Lumen, contact us by completing and submitting the form below. If you are looking for a specif part number, please include it with your message.